The Modern Industrial Chiller is basically a cooling system that removes heat from one element (water/glycol/air) and deposits into another (ambient air or water). The standard design is a system that cools 60° F water (water/glycol, or air) to 50° F and deposits the heat into the ambient air at 95° F (or water at 85° F). 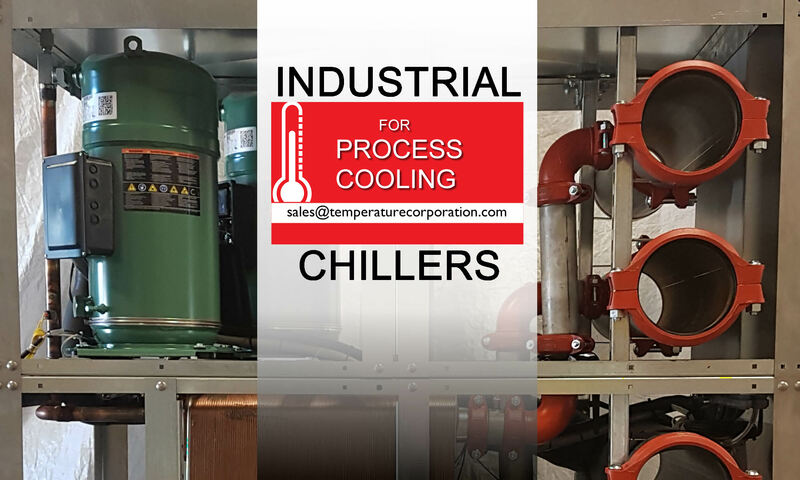 This chilling technology is used by various industries to cool down the process machinery and the process using a freon chiller to cool a medium like air or water. To learn more about chillers in general and to help you make an informed decision about your own cooling problem, we are going to begin with a definition of a chiller and then move on to learning what a chiller can do for you, how to buy a chiller and what to look for when buying a chiller. For advice on buying a chiller click here. The function of controlling the temperature in manufacturing and process equipment can be achieved in four ways – 1) a cooling tower that supplies water at 85° F or higher and by using chillers that supply water at 60° F or lower. 2) a portable chiller, 3) a packaged chiller, 4) a central chiller system. A portable chiller – is a single pump chiller, can be supplied with either air or water cooled condensers, used to cool one or two machines, process water flow limited to 2.4 gpm/ton, this limits the use of this type of chiller. 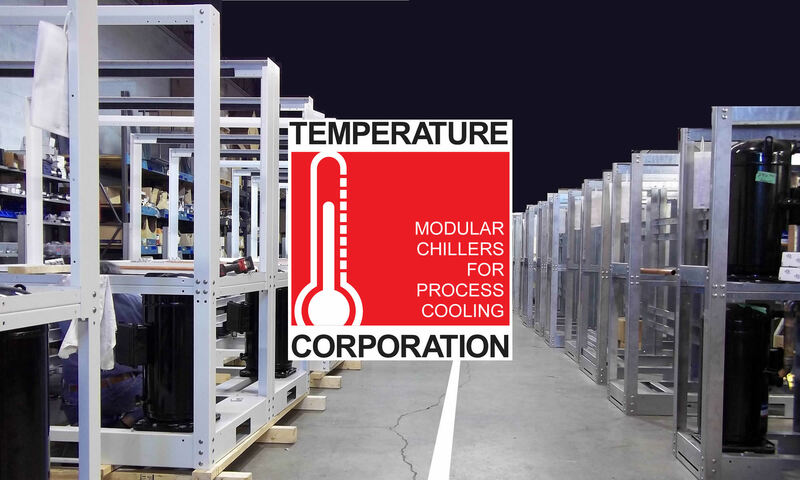 A packaged chiller – is a two pump system, one pump for the evaporator, the other for the varying process, can be supplied with either air cooled or water cooled condensers, no process water flow restrictions but this type of chiller is not expandable as plant cooling load increases. A central chilling system – is where one or more central chillers are connected to a common two pump tank set, stand-by pump (s), can be added, and chillers can be added to the maximum cooling capacity of pump tank. A central cooling tower system – is where one or more cooling towers are connected to a common two pump tank set, standby pump (s), can be added, and towers can be added to the maximum cooling capacity of pump tank. Central tank sets allow various types of chillers air, water cooled, makes and tonnage to work together on the same chilling system. As well, different types, makes, and tonnage of cooling towers to work together on the same tower system. While most industrial operations use a combination of these cooling solutions, most will involve a chiller. So, what is a chiller? Definition: What Is A Chiller? Evaporator – cools the water, water/glycol or air by transferring the heat to a refrigerant which is turned into a gas. Compressor – takes this gas and increases its pressure so that ambient air or water can remove the heat. Condenser – rejects heat gained by the gas using ambient air or cooling tower water to condense the gas back to a liquid for use again by the evaporator. Holding Tank – holds the circulating coolant, usually water (can be water/glycol), tank is sized large enough to prevent turbulent flow in tank causing pump cavitation. Pump– circulates coolant from the holding tank to the evaporator and from the evaporator to the machine or process being cooled and back to the tank. Control Panel – houses temperature controller, compressor contactor, pump starter, 3-phase fuses, control transformer, safety controls, run and fail lights. While it is true that a chiller is a device that cools something else, i.e., a plastic injection molding machine, it does not create cold, it removes heat. In short, it’s a heat removal device. Using the six components listed above an “industrial” chiller removes heat from one element – water/glycol/air – and then circulates that cooler element through a heat exchanger to cool the surrounding air or process equipment. In the water circuit, a pump circulates the water from the holding tank to the evaporator which cools the water by transferring the heat to a refrigerant, the water then goes on to the process in a portable chiller or back to the tank in a packaged or central chiller. In the refrigeration circuit, the evaporator boils the liquid refrigerant into a gas cooling the water, the compressor increases the pressure of the refrigerant gas to a pressure (200 to 220 psi for freon 22) so that the condenser can condense the gas back to a liquid (remove the heat gained) using ambient air at 95° F or cooling tower water at 85° F.
In the case of an industrial chiller, the principle is the same. Water is pumped to the chiller normally at 60° F and cooled to 50° F, when using water/glycol solution can be cooled to 20° F. The heat is removed from the condenser either by a plant cooling tower water system, or outdoor air for remote condenser and outdoor air cooled chillers, or by plant air for portable or indoor heat reclaim chillers. Applications: What Can A Chiller Be Used For?